right now, they’re poised to be “the next big thing,” if you ask me. Argyle be danged! dang argyle (small d, small a) is Amanda and Cortney. We are both 30 years old and we currently live in Belleville, Mich.
Amanda: I did until last week! I made the jump and gave up full time status and cut my hours in half teaching preschool at a childcare center, and I will make up the hours by also working part time at a library. I hope it all works out! Cortney: I don’t have a traditional job, but am working full-time towards finishing my PhD in Chinese art and archaeology. Amanda: I grew up watching my mom and grandma sew. They were practically chained to their machines my whole childhood, so it was easy to catch the sewing bug from them. When I was little I would hand make Barbie clothes and pillows. Eventually after college I started using the sewing machine for mending and to alter my ill-fitting thrift store clothing finds. I fought with my mom for use of her sewing machine until I inherited my grandma’s machine. That’s when I started sewing bags and my own shirts, etc. Cortney: Since I was little, I have always done various sewing projects with my Grandma. I think the first thing I ever made with her was a marble bag for my Dad’s old marble collection. I thought that pouch was the greatest thing in the world, because I could tie it to my belt and carry my marbles around everywhere I went. In the 90s my Grandma taught me how to quilt (she makes one to two quilts a year, and not on a machine! ), and a few years ago I got my first sewing machine and started altering old shirts and making all sorts of stuff. If my machine weren’t so heavy I would prolly make an extra-large drawstring bag with red piping for it and attach it to my belt too! dang argyle: We started creating things together when we were nine, such as leaf collages and paintings, some of which are still in Amanda’s parents’ attic! Our first business venture was making origami cranes and selling them to our families and to fellow sixth graders. When we got older we kept saying we had to come up with “a big idea” that would be our “job” instead of the regular 9-5 deal. We talked of creating a movement and bringing creative sorts together, drawing from the ideas behind the bauhaus movement. The internet has made coming up with something interesting a lot easier in terms of promotion, networking, sales, and reaching a larger audience. Amanda: Being creative is a natural part of me. Nothing specific triggered it, it was just the way I was brought up or had my mind molded. It made sense. You can only make so many bags and shirts for yourself, so selling them seemed like the logical next step. Cortney: I was born interested. In my upbringing I was always supported and encouraged in my fantasies and artistic endeavors. So, becoming a maker of things wasn’t a choice, it was/is an obligation to myself. 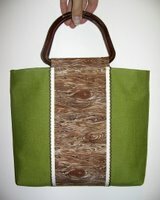 Right now we are focusing mainly on sewn items, such as bags and pouches, and also linocut note cards and earrings. We currently do this in addition to our “full-time” jobs. But it sure would be nice if dang argyle was a full time job. How do you sell your goods? 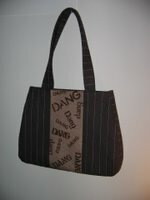 We sell our items in our online shop at Esty right now, and we are working on our own web shop at dangargyle.com. We recently did our first craft fair (the DUCF!) We did really well and found it to be a great experience, and we look forward to doing other craft fairs. The dang argyle seed was planted in August 2005, and we started making things specifically for dang argyle later that year. We began actually selling items in June 2006. People seem to like what we do. So far it’s been a positive response from people and they want to see more from us, so that’s good! It’s a big motivator to keep the business going and make it bigger, and to keep creating unique handmade things. Cortney: I like thinking about colors, textures, and patterns and then creating an object with my own two hands. In a culture obsessed with standardization, making one-of-a-kind handmade items is my way of swimming upstream, and trying to make a difference by saying you can be whoever you want to be however you want to be creatively, without conforming ideologically. Amanda: Letting people know that your shop exists and that there are well made, unique things in it worth buying. Cortney: Making an official Web site! HTML! Whats been the most rewarding aspect of your craft? Amanda: Having people buy things or tell you how much they like what you make. It’s a great feeling knowing that a girl in Singapore is carrying around a wallet that dang argyle made. 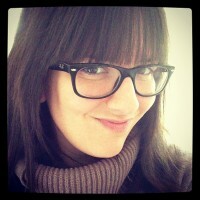 Cortney: Meeting other crafters and chatting with them/befriending them has been inspiring. It is also rewarding being a part of the DIY community, and to work collectively creating handmade goodness with that dang Amanda gal. Do you have any tips or suggestions for someone interested in launching their own line or simply interested in making for the first time? Amanda: Go for it! Whatever craft you like doing, keep up with it. Whether it’s for your own use or if you want to try to sell things. The DIY community is filled with such a great group of sweet, supportive and talented makers, it’s great to be a part of that. Cortney: Do what is uniquely YOU! Just spill your heart and guts into your work. What one toy would you love to see available in McDonalds Happy Meal? Those dang gals are working hard on their web site right now, so make sure to check back often!